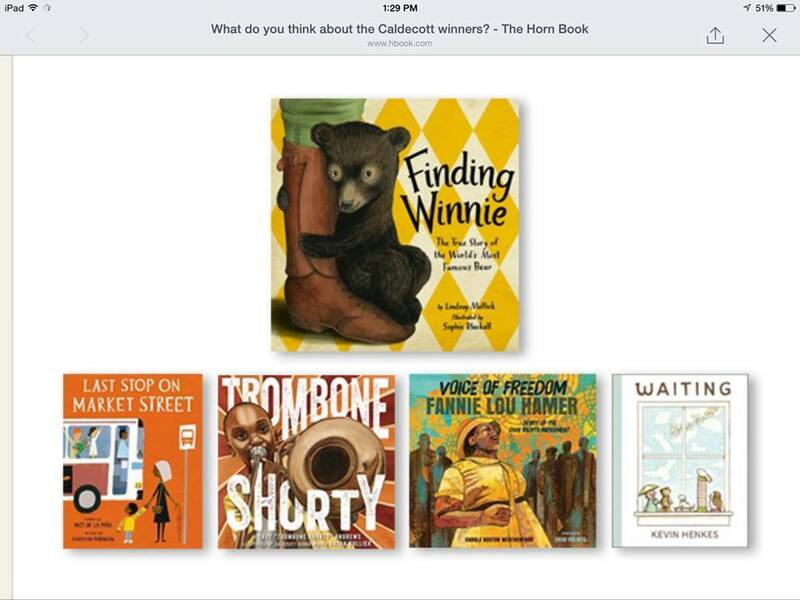 Just over a week later and I am still reeling from my amazing Caldecott year. Now comes the fun part of celebrating and sharing our winning titles! I had a wonderful time being part of the 2016 Caldecott Committee. Everyone was so kind, thoughtful, and caring and we really listened to each other as we shared and talked about books-and that made such a huge impact on me and my committee experience. Our committee really bonded and even though we've only met in person a handful of times, I have had some of the best discussions about books with them and they are people I will always love and respect. Being on the committee is a lot of work. Some people have asked me if it was easier or harder than when I was on Printz, and it's hard to say. In some ways, I felt I was reading more and getting more done with picture books-several pages of picture books also can mean several books whereas several pages of a chapter book can sometimes barely be a dent at all. 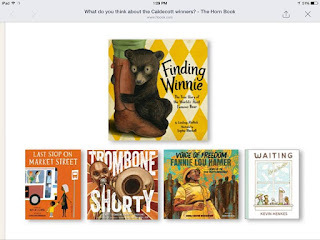 But Caldecott was a completely different thing-analyzing art and illustration over the text which was very new to me. 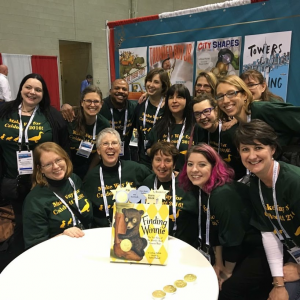 I cherish the experience and conversations I had with my fellow committee members-it's really made me look at picture books in a new way and I feel like I'm a better librarian because of it. 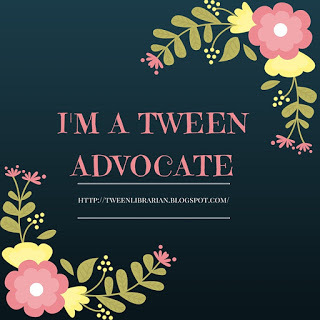 I also truly believe that being on a committee helps you trust the process even more! I am so proud of our group and the work we did. If you haven't already, head on over to The Horn Book, where our amazing chair Rachel shares about our winners. I am so excited to share our books with the world and with the kids in my library. I'm already planning storytimes and outreach using these books and I hope you do too! If you do, I would love to hear about it! After lots of reading and discussing, we eagerly got up early Monday morning to make our calls. Our phone calls were so incredible! Our illustrators cried, we cried, we cheered-it was joyous. I will never forget that moment when we told Sophie Blackall she was the 2016 Medal Winner and I broke down in tears as we cheered (and she cried on the other end of the phone-a surefire way to make sure the committee cries along with you!) I can't wait to be with my Caldecrew again in June at Annual-this time with our illustrators along with us to celebrate our hard work! To future award committees-you can do it! It will be a journey of a lifetime and savor every moment! 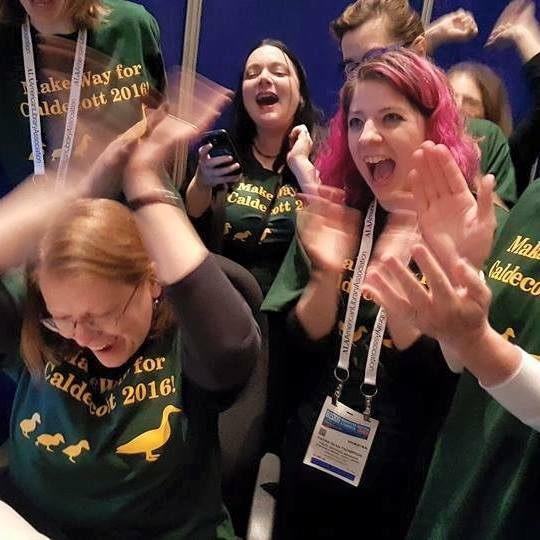 To my Caldecrew-you are all amazing! Thank you for a wonderful experience that I will never forget! Thank you for letting me make 14 wonderful new best friends who I can't wait to see again and share books with! And to our five fantastically talented illustrators-thank you for creating beautiful art to share with the world. You make being a librarian the best job in the world! Enjoy this year's winners-I know you will! Sarah, this is such a beautiful tribute to books, art, librarians, star stickers, and the celebration of excellence. Thank you for your hard work on the committee, on your blog, and in your lucky library. As a debut middle-grade author, I'm privileged to see first-hand the brilliant devotion of librarians, the life blood of culture. Yay to you all!